– The Taka Michinoku-Henare match started things off with a proverbial bang. Michinoku had a variated version of his old WWE entrance music. As commentary sifted through the card, we could tell it could be no less than great. This one was your typical “Young Lion Battles Established Veteran” story, but Henare had all to gain and none to lose. Early mat-based grappling dictated the action as Taka was also under the weather. It was definitely physical, but maybe that’s why it was a bit short. Taka maneuvered a transition to get the pinfall. An anticlimactic finish, but it was what it was with these two. We like the story of Henare showing some frustration after the bell. Gives him some depth. 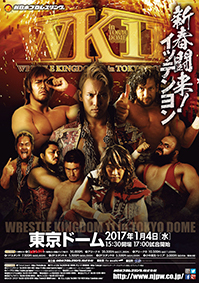 – As if you didn’t already know, 2017 was off to a blazing start in New Japan Pro-Wrestling, as IWGP Heavyweight Champion Kazuchika Okada outlasted Kenny Omega in that “Six-Star Classic” at Wrestle Kingdom 11 and successfully defended against Minoru Suzuki at the New Beginning In Sapporo. With all the ingredients set and one more show until The New Beginning In Osaka on Feb. 11, we had to hunker down and get through some filler and entertainment mostly by way of fancy tag team matches. The opening video was flashy (and Japanese!) but was right to the point about recent events. “Notes In Observance” features random thoughts on television shows. Quick results can be found at the bottom of the post. 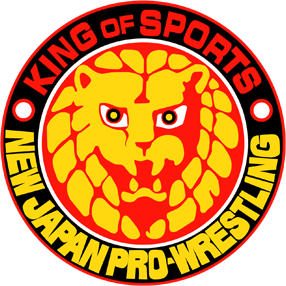 – It’s 2017 and New Japan Pro-Wrestling’s all the rage these days, so we figured why not put them in the same review family? Granted, we can only cover the English commentary shows, but by the looks of 2017, there’s quite a few shows already. Where we last left off, we saw the sudden onset of the Suzuki-gun faction, with a fierce return not seen since the days of Nexus. A moment of silence please for that ill-fated group. For an exclamation point, they laid out IWGP Heavyweight Champion Kazuchika Okada, as the group’s leader, Minoru Suzuki, laid claim that every Title would soon be theirs. How nice. Now, no matter what they say in it, it’ll still be incredibly difficult to understand the video packages per se, but damn, their production skills are sleek AF and a little extra on the side. So flashy and easy to follow. Everything looks damn near epic. Plus, that voiceover guy? Forget about it. We’re hooked. Also liked the onscreen broadcast presentation graphics of all the matches for this show laid out, as it felt quite sports-like. To the first contest – Kushida/Hirai Kawato against El Desperado/Yoshinobu Kanemaru. Obviously, Kushida will stand out off the bat here, but this was a story all about Suzuki-gun’s return momentum and the Chaos representatives with a goal to shut that down immediately. Also oddly enough, Don Callis fits right in with Kevin Kelly on commentary, though he’s got a big chair in Steve Corino’s absence to fill. A lot of attention was paid to Kushida getting in Kanemaru’s face, conveying that it was purely about Championship gold. The heels began aggressively, with Kawato selling like a Champion, undergoing such punishment. They pulled out this cool spot where Kushida German suplexed one opponent while he held the other in a bridge. They certainly established Kawato’s fighting spirit well here. ED’s single-leg half crab was thwarted when he got to the ropes. Close near-falls towards the end on both sides. All you could ask for here. In the end, ED pinned Kawato with a move similar to a spinning blue thunder bomb. Good for an opener and to continue Suzuki-gun’s momentum. Post-match, they attacked the winners outside. Well, damn.